First developed by watch and clock makers, chucks with pie-shaped jaws offer two main advantages. Boring the unhardened jaws to hold a particular diameter part means that instead of gripping the part at only three or four tiny contact points, they grip the part all the way around its diameter. This increased gripping area allows for much less clamping pressure and less chance of deforming a gear or other delicate part held in the chuck. 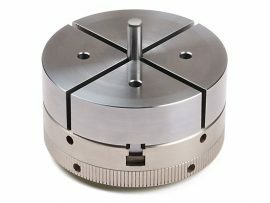 In addition, because the face is bored to an exact and consistent depth, placing additional parts in the chuck for turning or milling means each part surface is held at exactly the same depth as the previous parts, saving setup time. We decided to make pie jaws for our four-jaw self-centering chuck after a request by David Lindow, the owner of Lindow Machine Works, Maker of Modern Rose Engine Lathes, (https://lindowmachineworks.com/lindow-rose-engine-menu/). 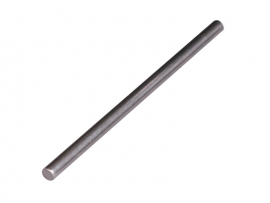 Ornamental turners need a chuck that can firmly grip wooden stock without damaging the surface. In addition to David’s request, we had also received several requests from our horological customers who were looking for a chuck similar to the Swiss-made watchmaker’s scroll chuck. We designed our pie jaws in both form and function after the Swiss chucks. 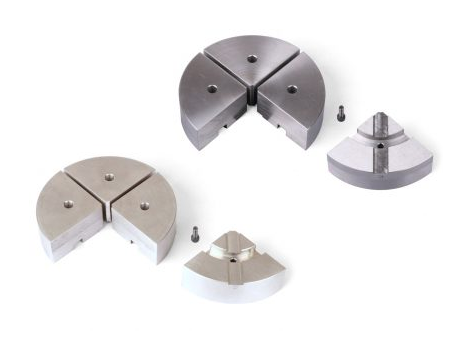 The aluminum pie jaws was designed to give our customers the option of pie jaws that are made from a softer material than our steel replacement pie jaws. Because they are aluminum, they can be used with our 1076 chuck, however, we still recommend using them with our 1076C because of the hardness of the nickel and the lubricating properties of the Teflon. The primary advantage of the aluminum jaws is that the aluminum is easier to machine, and it offers a material that will not scratch or dent softer parts. 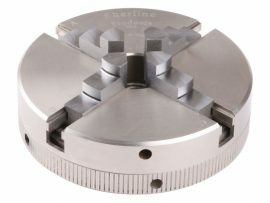 The steel pie jaws can be installed on your existing 1076C nickel/teflon coated chuck body and master jaws. 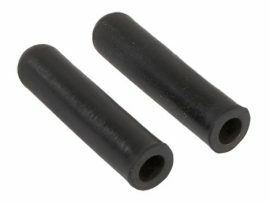 They are not intended for use on the standard 1076 chuck body. NOTE: These jaws are designed to be used ONLY on our Nickel-Teflon coated chuck P/N 1076C, and master jaws are custom fitted to each body, so master jaws are not available for purchase separately. Some of our customers have been wondering how to tell the difference between our standard chucks and those that have the electroless Nickel-Teflon coating. Standard chucks have darker markings than the coated chucks (See Figure 1. Click on photo to view a larger image). Figure 1—Examples: (Left) 1040 3-Jaw Chuck (3.1″), (Right) 1040C Electroless Nickel-Teflon Coated 3-Jaw Chuck (3.1″). Here, at Sherline Products, each of our chucks is laser engraved with a company mark, chuck size, and jaw location. During the laser marking process the laser removes a bit of the surface and darkens the material below (Figure 1, left). 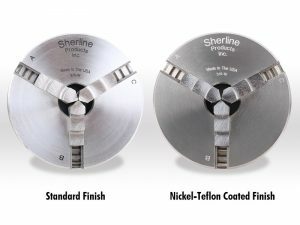 When chucks are sent out to receive the Nickel-Teflon finish the coating process changes the dark engraved markings to a noticeably lighter finish (Figure 1, right). There is also a subtle change in the color of the chuck, but in the absence of being able to compare them side by side, the most evident way to tell whether you have a coated chuck, or not, is to check the color of the laser markings.